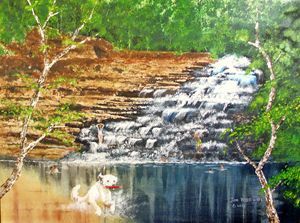 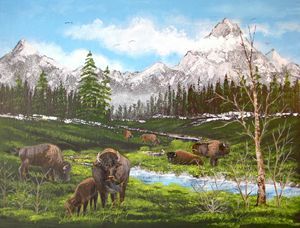 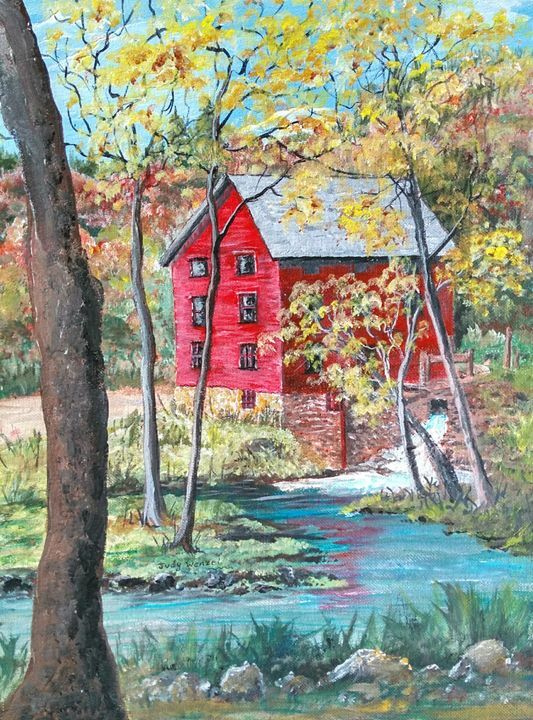 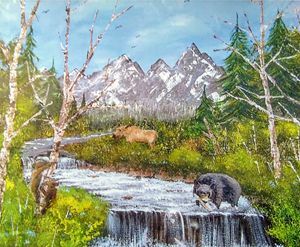 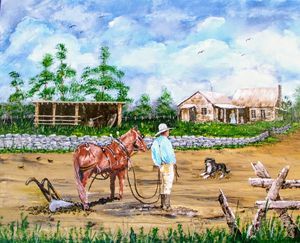 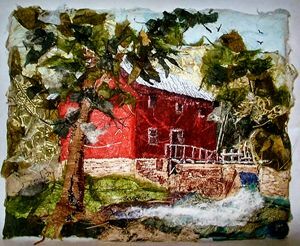 Original art print of acrylic painting by Missouri artist, Judy Wenzel. 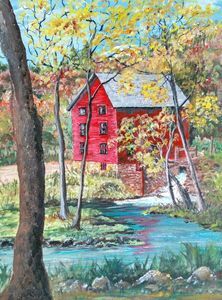 Historic red grist mill located in the Ozark National Scenic Riverways. 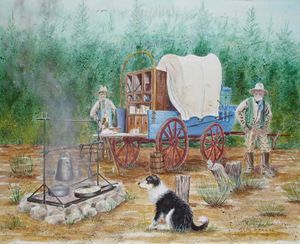 One of Judy's favorite local scenes!